Today’s tutorial is on how to make a gif of a character in motion. 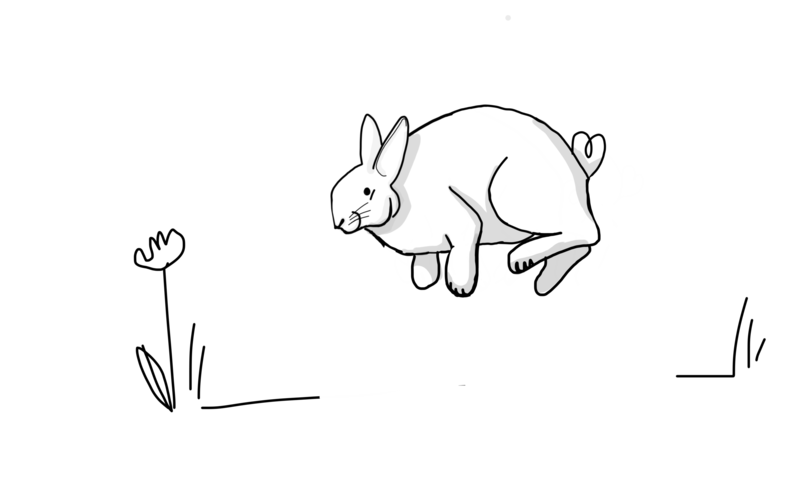 As its easter I thought it fitting to make a hopping bunny gif. Collage is such a fun medium to work with and making digital collages is really easy. With digital collages you don’t have to hoard magazines anymore! 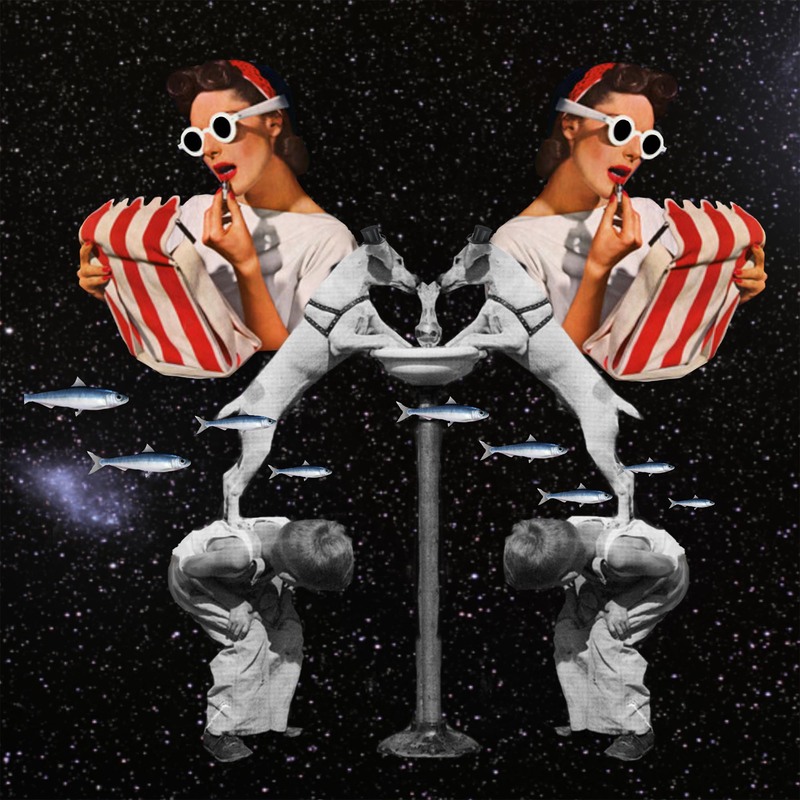 Collage is a technique of an art production, where the artwork is made from an assembelage of different images and materials, thus creating a new whole. By combining images you can change the meaning of a piece. From a commercial advertisement to a statement about beauty. In this blog post im going to give you a few helpful tips on how to create digital collages using an ipad mini, the autodesk sketchbook app and a maglus stylus. 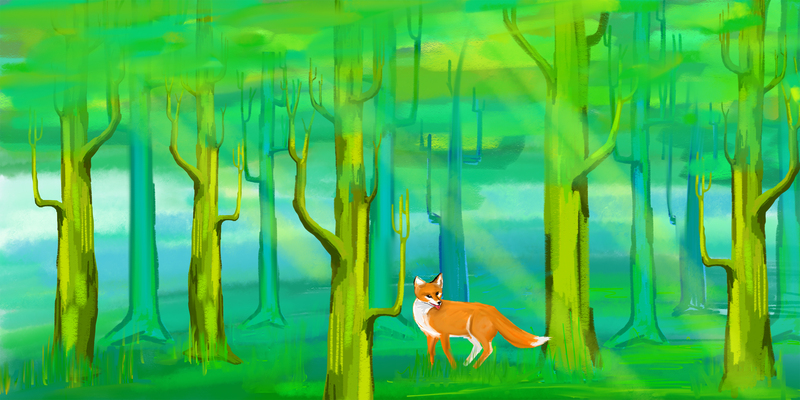 So you’ve designed an awesome character but are struggling with the background here’s a few tips on how to create a forest background. Start off by creating a gradient background. For this i used a blue wash using the charcoal tool and then went over it with the pen tool to create the ground. I then blended them together. I filled in a gentle gradient. I used warmer colours to the front for the ground and cooler colours to the back to give the background some depth. Today is the day to celebrate inspirational women. 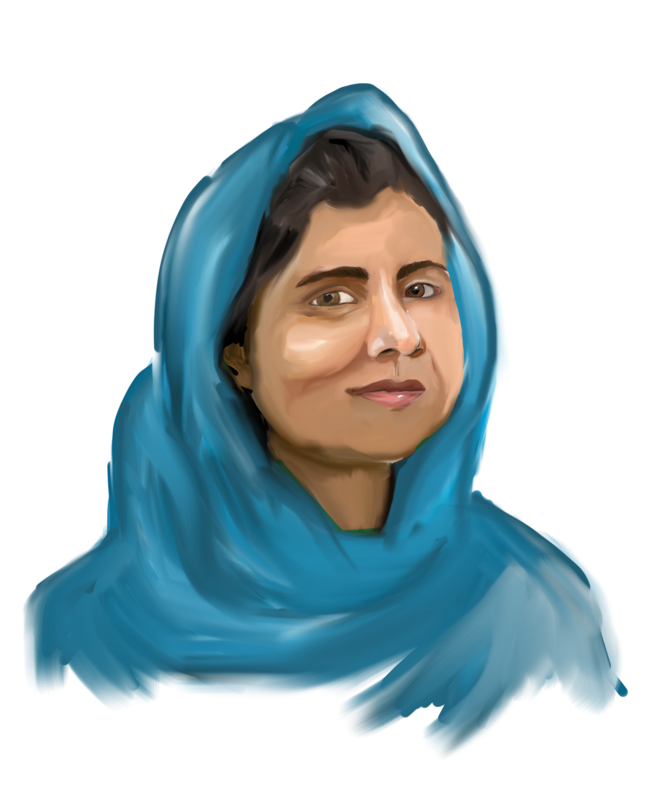 here’s a small tutorial on how i drew a portrait of Malala Yousafzai. Who is a Pakistani activist for female education. On October 9, 2012, a gunman shot Malala when she was traveling home from school. Just two years after getting shot by the Taliban, she and Kailash Satyarthi, a children’s rights activist from India, won the 2014 Nobel Peace Prize. She was just 17. In the wake of storm Emma, with flights cancelled, treacherous roads, workplaces, school and colleges Closed It’s a good time to take a breather. Here’s an illustrated guide on how to keep yourself busy and sane during the snow storm. 1. 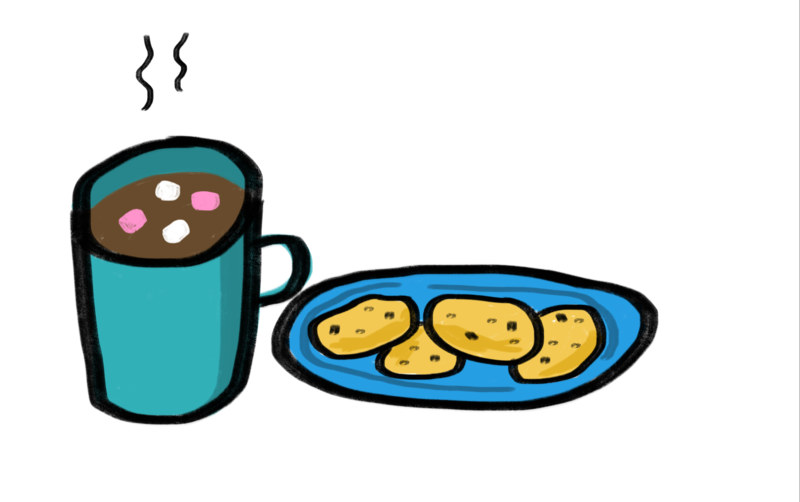 Get your priorities straight make some hot chocolate and cookies. If you don’t have drinking chocolate powder just melt dome dark or milk chocolate into milk. For the cookies there are some great recipes online here’s one of my favourites.